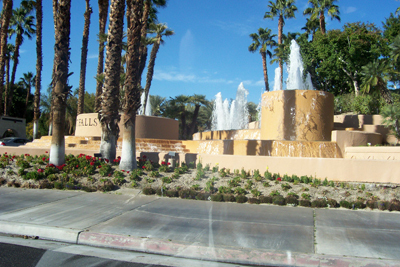 Entrance to Desert Falls Country Club. 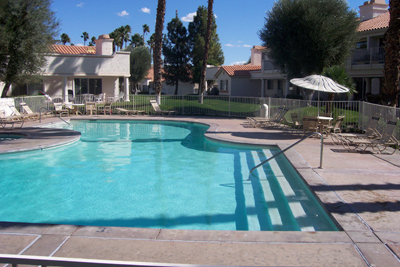 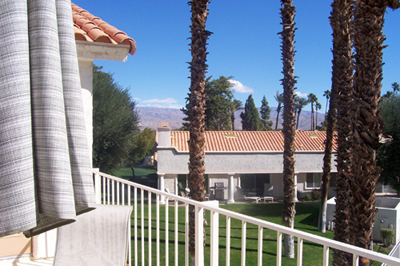 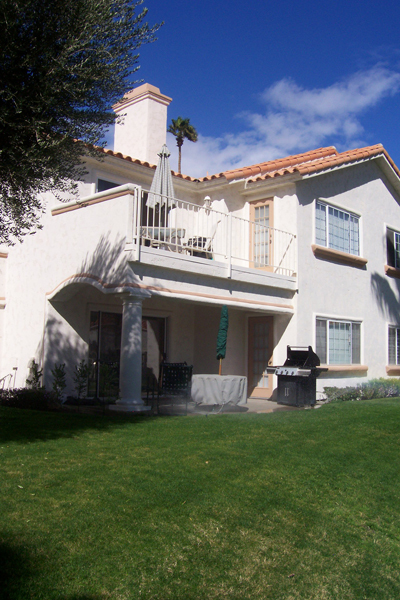 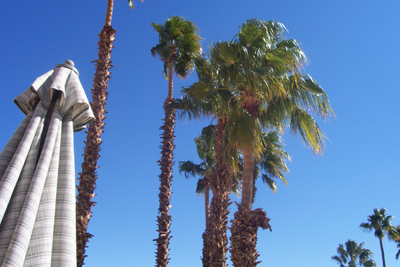 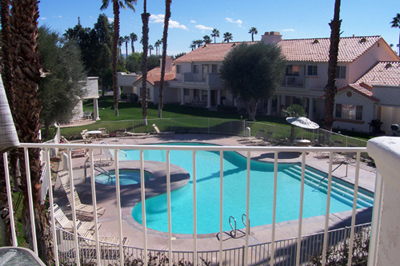 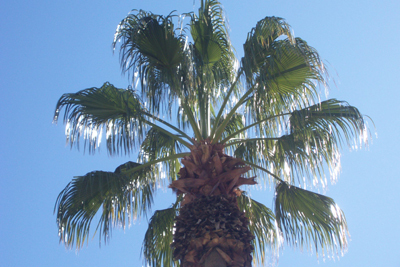 Desert Falls Country Club is a 24-hour guard-gated community located across from the Desert Springs Marriott Resort in Palm Desert. 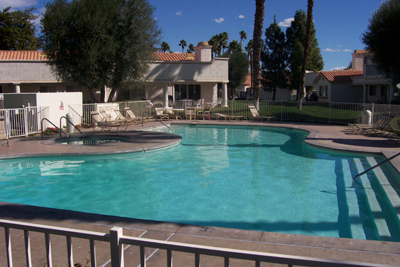 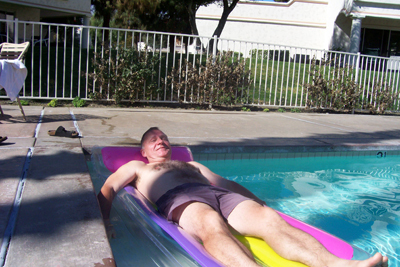 This is one of 26 pools and spas in the community. 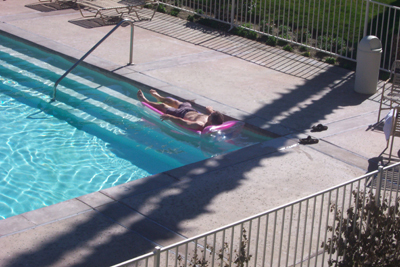 This one was just outside the door. 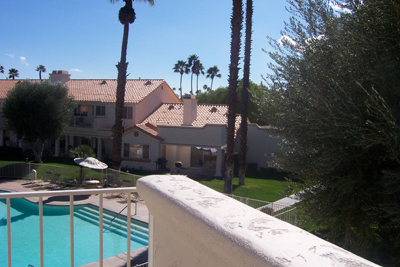 Back view of the condo where I stayed.